When someone significant to us dies, only the physical aspect of the relationship ends. The emotional and spiritual aspects of the relationship continue for the rest of our lives. 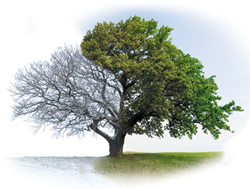 Grief and loss are complex psychological thoughts and emotions that often have a wide range of reactions. Whether it is the loss of a parent, spouse, sibling, a friend, or the loss of a child, the feeling can bring sadness and suffering never experienced before. When someone with whom we have had a relationship dies, it may feel like we are losing a part of ourselves. 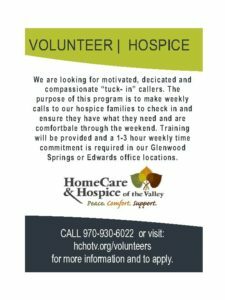 The Grief and Bereavement Services at Hospice of the Valley are designed to respond specifically to the needs of individuals and families who are coping with death, loss and grief. Our grief and bereavement staff members are trained to provide the guidance and support needed to help sort through thoughts and feelings people often experience after a loss. Our groups are led by licensed counselors with a specialty training in grief, mourning and bereavement. We provide support and services to family and loved ones of hospice patients for 13 months following the death. We are there to help you through the many “firsts” without your loved one – the first birthday, the first anniversary, the first holiday, and other special occasions.